2015: A Year in Review …And Happy Holidays! We are approaching the end of the year. It has been a busy period for us, full of changes and opportunities. The adoption of our products in the global market in the last year made us accomplish an excellent result: they are currently used in the main forensic labs and intelligence agencies in more than 50 countries worldwide. Our team has grown more than ever this year and now one of the rockstars of forensic video analysis has become our main trainer. And we guarantee that the next year will be even better… But for now, let’s look back at what happened. 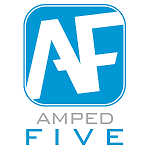 One of the strongest competitive advantages of Amped Software is the very impressive release cycle of our products. We always strive to make our products more complete, trying to meet every possible need of forensic image and video analysis. And because of this, in 2015 alone, we have made 13 updates in total (and there still may be another one before the year ends!). Below is a recap of the main changes. This entry was posted in Announcements, New features on December 22, 2015 by Martino Jerian. One of the most common tasks in Forensic Video Analysis is the request to perform image comparison. How to achieve this is also one of the most popular questions I get whilst travelling to Police Agencies around the world and delivering Amped FIVE training. I always have to respond with another question then – “how do you want to present that comparative evidence?” There is often a broad range of answers, due to the differences required by their individual legal systems and their own personal reporting style. It is for these reasons why there is no definitive answer to how to perform, report or present comparative analysis within FIVE. It gives you the freedom to chose how you are going to conduct the analysis and then the flexibility on how to report and present it. This entry was posted in FIVE, How to on December 10, 2015 by David Spreadborough.